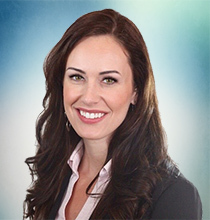 Heather Schleicher, Senior Marketing Director, has more than 15 years of experience in business and marketing with organizations ranging from independently owned franchises and small businesses to $12B international enterprises. Prior to joining SIG's leadership team, Heather served as Senior Marketing Manager where she was responsible for creating, executing, and supporting SIG’s marketing strategies across all regions and lines of business. Before joining SIG, Heather led digital marketing initiatives for outsourcing, recruiting and workforce management provider Allegis Global Solutions. Previously, Heather managed the marketing department at a contracting consultancy in Washington, D.C.